A Lead is the identification of a person or entity that has the interest to purchase a product or service from your organization. People who Managing Lead in Salesforce, they face one major problem i.e. Lead De-duplication. 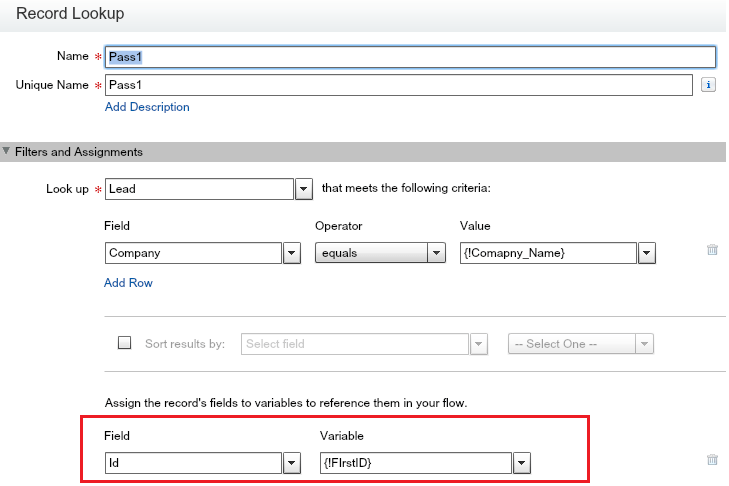 Salesforce does not have any out-of-box app that will check based on some parameter for the duplicate lead while creating new Lead in the system. 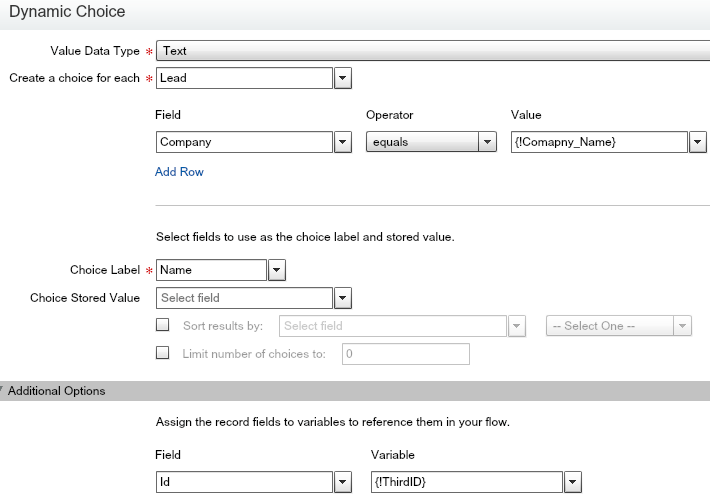 You can achieve this functionality by using Visualforce page and Apex, but it’s requiring knowledge of both. 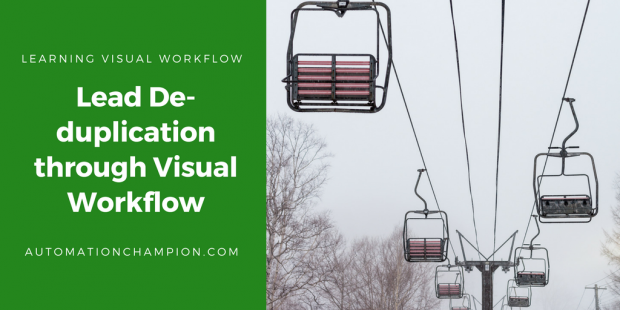 In this article, I will focus on how to achieve this functionality by using Visual workflow. Higher management in Universal Container wants to build functionality for Lead De-duplication where they want to enter Company Name on the first screen and if any company exists with same name display all, the user will select one and redirect them to selected lead’s detail page. In case if the lead does not exist with Same Company Name it redirects them to New Lead page with auto populate Company Name that user entered as search criteria. Next is to check whether search entries return one or multiple results. Based on that we will redirect a user to the respective screen. To do that I used next two lookup Pass 1 and Pass 2. 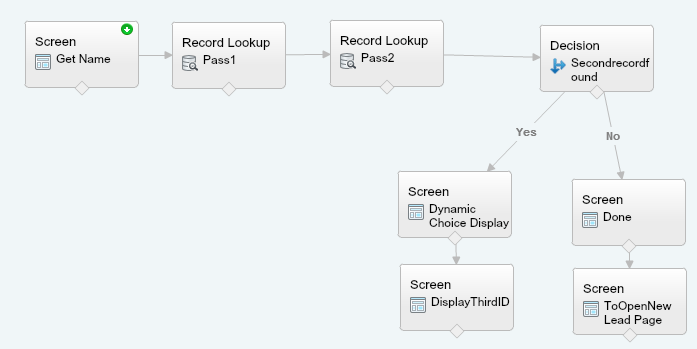 In Pass 2 I am checking multiple records with same company name and store id in SecondID variable. To understand this concept in detail you can browse Andrew Johnson for his blog Making a Dynamic Choice That Much Better. Overwrite your New Button available on the Lead object. To do that follow the path Name | Setup | App Setup | Customize | Leads | Buttons, Links, and Actions | New Overwrite it with a VisualForce page that you created in the last step. 2. Now we will create a lead with Company name that does not exist in System. 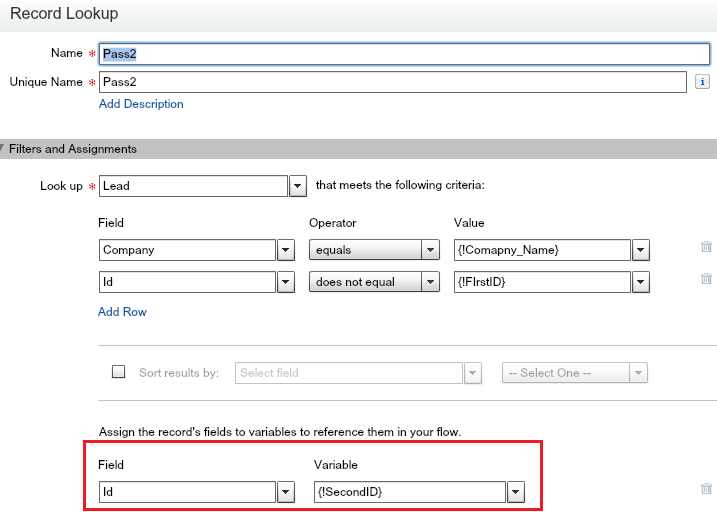 Note: – You can add more fields on screen first as per your requirement to find lead records.